 Schedule an Appointment Today! | Call 519‑746‑1232  drdaniaroptometry@yahoo.com New Patients Welcome! Need Eyeglasses in Waterloo? Our Friendly Staff Can Help! 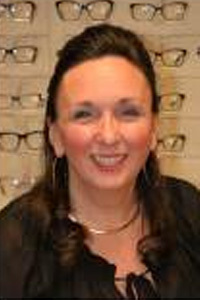 Established in 1988, the optometry office of Dr. Linda Daniar and her staff can provide you with the comprehensive eye exams, eyeglasses, prescription sunglasses, and specialty and complex contact lenses to meet your unique needs. 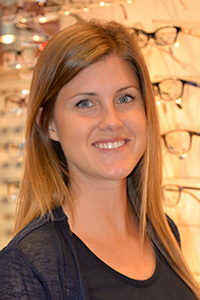 We have the best selection of eyeglasses in Waterloo. Additionally, Dr. Linda Daniar offers laser eye surgery consultations. Using the latest technology in eye care, Dr. Linda Daniar will examine your vision and make any recommendations for correction, or respond to any other eye health concerns you may have. Then, if eyewear is prescribed, you can choose from our wide variety of designer frames and contacts. Schedule an appointment today! Our staff includes optometrists Dr. Linda Daniar, Dr. Nicole Hatfield, and Dr. Kristin Zai, optician Paula Bourgeois, as well as optometry students Georgia Lynne Pankhurst and Matthew Michniewicz. Our office administrator, Beth Putnam, will greet you warmly as you come into our office. Using the latest technology in eye care, Dr. Linda Daniar will examine you and make any recommendations for vision correction or other eye health needs you may have. Then, if eyewear is prescribed, you can choose from our wide variety of designer frames and contacts! Make an appointment today. Dr. Daniar is originally from Thunder Bay, Ontario. Dr. Daniar started her career in Optometry at age 16 working as an Optician at local Optical Stores. She went on to the University of Waterloo, where she earned her degree of Doctor of Optometry and Bachelor of Science Degree in 1988. Dr. Daniar was a member of Beta Sigma Kappa Honor Student Association during her internship at the University of Chicago. She has a keen interest in challenging contact lens fittings in her practice to date. Many hours were spent at the University of Waterloo Contact Lens Center, where she gained her knowledge and expertise in contact lens fittings. Dr. Daniar is currently enjoying a full scope practice including Ocular Health, Contact Lens fittings, Binocular Vision, Low Vision and Paediatrics. As a longstanding TLC Affiliate at the University of Waterloo, she is proud to provide expert pre- and post-operative surgery care. When not practicing Optometry, Dr. Daniar enjoys travelling with her family and personal fitness. 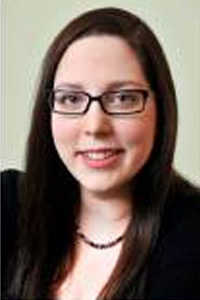 Dr. Nicole Hatfield completed her undergraduate degree in biomedical sciences (with honours) at the University of Guelph. Dr. Hatfield then went on to earn her Doctor of Optometry degree (with honours) at the University of Waterloo—School of Optometry. She also completed an externship in therapeutics and ocular disease at the OMNI Eye Institute in Baltimore, where she became proficient in caring for patients with diabetes and glaucoma. Dr. Hatfield is qualified to prescribe therapeutic agents for the treatment and management of ocular diseases. While completing her optometric training, Dr. Hatfield went to Puerto Viejo, Ecuador, through Volunteer Optometric Services to Humanity to provide eye care for their community. In her spare time, she loves spending time with family and friends, and travelling whenever possible. Dr. Hatfield is a member of the Canadian Association of Optometrists, the Ontario Association of Optometrists, and is an Affiliate Doctor of the TLC Laser Center. Dr. Zai completed her Undergraduate degree at Dalhousie University where she had her Thesis published on Visual Attention in Sport and was a Millenium Excellence Scholarship Laureate. She then earned her Doctor of Optometry degree with honours from the University of Waterloo School of Optometry and was awarded the W. Ross Andrews Prize for clinical Optometry. Dr. Zai also completed an externship in therapeutics and ocular disease at the Jack C. Montgomery VA Medical Centre. She is qualified to prescribe therapeutic agents for the treatment and management of ocular disease. While completing her optometric training, Dr. Zai went to Puerto Viejo, Ecuador through Volunteer Optometric Services to Humanity to provide eye care to their community. In her spare time she loves to travel with her husband. Dr. Zai is a member of the Canadian Association of Optometrists, the Ontario Association of Optometrists, and is an Affiliate Doctor of the TLC Laser Centre.